Introducing our newest event! These evenings are designed to give couples a fun, inspirational night out filled with laughter, worship and great teaching. 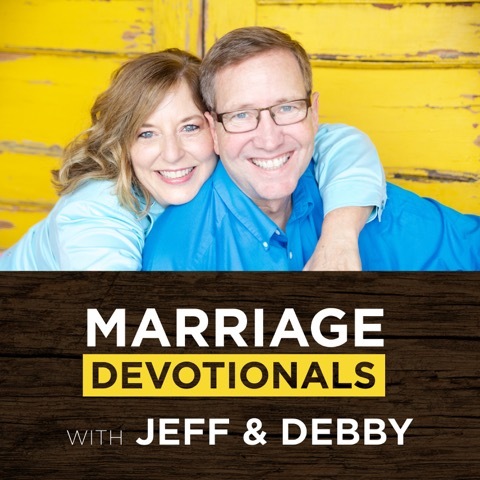 Jeff & Debby host the evening and set the stage with their wit & wisdom, Michael O'Brien sets the atmosphere with his amazing vocal talents, and Dr. Gary Chapman delivers the goods with the insights and engaging charm that has made him the leading author in the world on marriage. For more information on the speakers, see below. 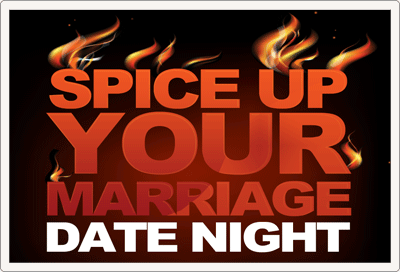 To book a date night at your church for any of the January dates, contact us. Due limited availability, we are currently only able to offer five of these amazing date nights (ever notice how everything with Dr. Chapman comes in fives?). Make plans now to bring your spouse or bring a busload of couples from your church! It isn't rare to find great authors, anointed pastors, dynamic speakers, and faithful friends throughout history. What is rare is to find them all in one person! 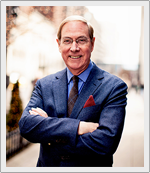 Ask him and Dr. Gary Chapman will tell you he just seeks to fulfill his call to the ministry as a pastor, speaker, and author. Ask those who know him and they'll tell you he has fulfilled that calling beyond measure. Dr. Chapman speaks extensively throughout the U.S. and internationally on marriage, family, and relationships. The government of Singapore invited him to present his marriage seminar there and the Chaplain’s Office of NATO issued a special invitation for Dr. Chapman to speak to the NATO forces in Germany. Other engagements have taken him to England, Africa, Saudi Arabia, Turkey, Mexico, and Hong Kong. He is used extensively by the military and by major corporations for his wisdom and straightforward approach. Sales exceeding 9 million copies earned him the Platinum Book Award from the Evangelical Publishers Association for The Five Love Languages, which has been translated into over fifty languages and credited for saving relationships across the globe. Thirty-four other books and five video series are also among his publications. 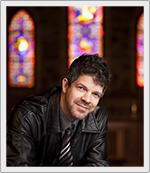 Dr. Chapman is a graduate of Moody Bible Institute, holds the B.A. and M.A. degrees in Anthropology from Wheaton College and Wake Forest University and the Ph.D. from Southwestern Baptist Theological Seminary. He has completed additional studies at Duke University and the University of North Carolina. 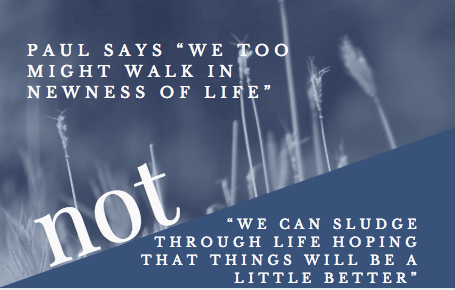 He has been the Senior Associate Pastor of Calvary Baptist Church in Winston Salem since 1971, and serves as President of Marriage & Family Life Consultants. Dr. Chapman resides with his wife, Karolyn, in Winston Salem, NC. They have two adult children and two grandchildren. A much-accomplished 20-year music veteran, Michael came to realize that success and self-worth does not hinge on the career he was building or the assets in his possession, but on his service and devotion to those most dependent on him, and it changed the trajectory of his life and career. He left his 7-year tenure as lead singer of the Christian band Newsong and came home, after having been gone more than 225 nights a year for years, to seek the affection of his wife and children again. They reset their priorities, made huge adjustments to the calendar and began focusing on reconnecting spiritually and as a family. As so often happens when God ushers in season of change and growth, Michael’s true calling and his talent have converged. Two albums—2007’s Something About Us and 2010’s Be Still My Soul—capture the rebirth of romance in their marriage, as well as their renewed sense of hope and healing. Christ’mas, released in 2012, celebrates the sacredness of the season. His most recent release, Psalms Hymns and Spiritual Songs, has received critical acclaim. Michael now shares his music and his and Heidi’s story of restoration as he leads worship at various events, including Extraordinary Women Conferences, Wildfire Men’s Conferences, and his own marriage date nights and weekend events called Tour De Romance. In 1989, Jeff & Debby McElroy left their careers at IBM and teaching and devoted themselves to ministering to children and youth by strengthening families. By 1991, their ministry was in such demand, they were on the road more than they were home. So they gave it up. They sold their home and began searching for a travel trailer so they could take home with them. Their daughter, Kristen, was six-months-old at the time. a firm belief that they shouldn't make a major decision unless they both had peace about it and with each RV they would see, they'd pray, but not have the peace they needed. So, they put a cover over the bed of their truck, put their clothes in plastic drawers, loaded their sound and music equipment and everything they needed for their daughter, and headed down the road with as much as they could cram into the back of that truck. "We looked like the Beverly Hillbillies for Jesus," jokes Jeff. to not have peace about those they saw. This went on for 18 months. Finally, as they were reaching the end of their faith, God provided their RV - a forty-foot 5th wheel travel trailer. The McElroys called their RV home for the next 6 years as they served as “missionaries to the family.” Some 250,000 miles later, when their daughter started 1st grade, they came off the road to give her and her one-year-old brother, Trevan, the chance to grow roots. Of all the cities in the country, Jeff & Debby chose Knoxville as the best place to raise their own family. Although they have a house now, they continue to travel across the country and around the world almost every weekend with the calling of turning the tide of broken homes. Through the years, the McElroys have spoken to millions around the world. Their ability to weave humor, drama, teaching and music throughout their delivery has made them one of the most sought after couples in the country to speak on marriage and family issues. They have been used extensively by some of the most influential churches in America such as Willowcreek Community Church in Chicago, and some of the most outstanding companies in the nation like Chick-fil-A through its WinShape Marriage Retreat, and as one of three speakers/ organizations chosen to lead its global WinShape Marriage Initiative. The McElroys are used by 1st Responder organizations to help their couples navigate the stresses unique to their service. The U.S. Army uses Jeff & Debby at bases across the U.S. and overseas to help improve family resiliency. Missionary organizations have invited them to help couples serving in mission fields to keep their missionary families strong. law, Kristen and Matt, are headed to the foreign mission field. Their son, Trevan, is a student in the Impact 360 Institute for Christian Leadership. All three are still actively involved in Forever Families and have a passion to carry the message to their generation.